Beginning at about 3500 ft until you reach treeline, where soon before treeline, its growth will be stunted. Will tolerate moist or dry sites. Shade tolerant, but grows in full sun (6). “Associated with glacial refugia on dry sites, especially limestone” north of the Olympics on the outer coast. Some small, isolated populations occur in dry sites in the eastern Olympics (6). Found on both slopes of the Cascades as far as southern Oregon (8). Prefers cool, moist sites (7). Needs sun and well drained soil (4), but is known to be shade tolerant (9). Not exacting in its soil preferences (3). Found in floodplain valley-bottom forests and at higher elevations in such cold air drainages (6). Stress tolerator, and in southeast Alaska, early post-glacial colonizer (6). 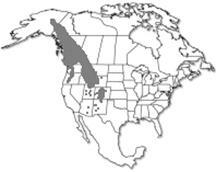 Long-lived seral species in most habitat types (8). Engelmann spruce; lodgepole, whitebark, limber, or bristlecone pines; alpine larch; cork fir; aspen (7). White spruce; white spruce – paper birch; mountain hemlock; interior douglas fir; western larch; grand fir; western white pine; blue spruce; sitka spruce; western hemlock; coastal true fir-hemlock; alaska cedar; pacific silver fir; western red-cedar (3). Seeds (cones) (5). Though the tree propagates itself through layering (6), it is not recommended to obtain cuttings (9). Collect early through mid September. Seed is fragile and can be easily damaged during de-winging (5). 30 to 60 day naked cold moist stratification (physiological dormancy) (5). Germination often poor (1). Collect lots of seeds. Seed longevity is up to 5 years in sealed containers (5). Overwinter in outdoor nursery under insulating foam cover and snow (5). No inoculum necessary, but may benefit growth(5). 70% 6:1:1 sphagnum peat, perlite, and vermiculite, and 30% sand (5). Grows well in clay soil (1). Minimum pH =4, maximum pH = 6.50 (9). Container plants grown from seeds, bare-root, seeds (9). If you don’t have sufficient seeds, grow at least first winter in pots. “Plant in permanent positions in late spring or early summer, after last expected frosts” (1). Minimum planting density: 300/acre; Maximum planting density: 1200/acre (9). (Equivalent to 1 tree per 37-146 ft2). “One report says that it is best to grow the seedlings on in the shade at a density of about 550 trees per square metre, [Equivalent to 51 plants per ft2] whilst another report says that they are best grown on in a sunny position” (1). Soil must be well-drained, do not over water (1). Medium moisture use (9). At timberline, reduced to shrub. Annual height growth for first 10-15 years at high elevations is commonly 2.5 cm. At lower elevations, 8.1-11.4 cm (3). Normal for trees to reach over 250 years old. Due to heartrot, however, many trees die early (3). (1) "Abies lasiocarpa." GardenBed.com. Plants for a Future. 30 March 2005 <http://gardenbed.com/1/15_pro.asp>. (4) Evans, Erv. 2003. Abies lasiocarpa. Tree Index at NC State University. 30 March, 2005. 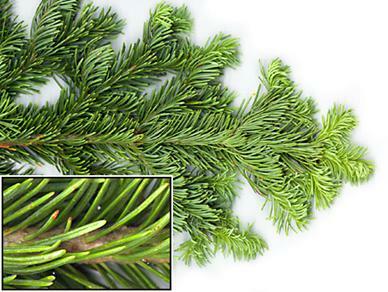 <http://www.ces.ncsu.edu/depts/hort/consumer/factsheets/trees-new/abies_lasiocarpa.html>. (5) Luna, Tara; Hosokawa, Joy; Evans, Jeff; Wick, Dale. 2001. Propagation protocol for production of container Abies bifolia A. Murray plants (172 ml containers); Glacier National Park, West Glacier, Montana. Native Plant Network. 31 March, 2005. <http://www.nativeplantnetwork.org>. Moscow, ID: University of Idaho, College of Natural Resources, Forest Research Nursery. (6) Pojar, J., & MacKinnon, A. (1994). Plants of the Pacific Northwest. Vancouver, BC: Lone Pine Publishing. (7) Preston, Jr., R. (1989). North American Trees. 4th ed. Ames, IA: Iowa State University Press.